NASCAR came to Indianapolis 24 years ago for the inaugural Brickyard 400. It was an iconic event that a young Jeff Gordon won on a hot, early August Saturday. Indianapolis and NASCAR have put on 24 races at the famous 2.5-mile track, but no race before this one has been as important. Sunday’s Brickyard 400 is the final race before the playoffs start for NASCAR, and only 16 drivers will be eligible to compete for the championship. So in addition to winning one of the biggest NASCAR races of the year, drivers also want to put themselves into the playoffs or gather as many points as possible before the playoffs start. Wrestlemania III was conducted in the Pontiac Silverdome outside of Detroit in March of 1987 in front of a reported 93,173 people. The tagline for the event was Bigger, Better, Badder. While Hulk Hogan will not be body-slamming Andre the Giant on Sunday in Indianapolis, the description Bigger, Better, Badder could be used. Bigger describes the 2.5-mile, rectangular oval, which is second only to the 2.66-mile oval of Talladega (Ala.) Superspeedway. Indy is tied with Daytona and Pocono at 2.5 miles, and the speeds at Indy are fast entering turns one and three. Last year, Kyle Busch put his car on the pole at a speed of 187.301 mph. Better describes the intense playoff atmosphere that will be at Indianapolis in 2018. 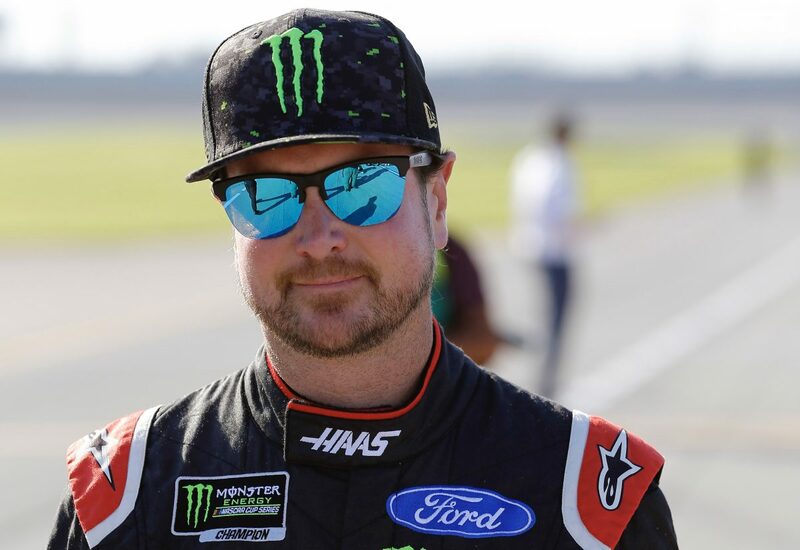 Thankfully, Kurt Busch, driver of the No. 41 Haas Automation/Monster Energy Ford Fusion for Stewart-Haas Racing, has locked himself into the playoffs via his win on Aug. 18 at Bristol Motor Speedway. But Busch would love to score another win, especially at Indy, to improve his position in the playoffs. For those drivers hovering around 16th, it will be a battle to get into the playoffs. Badder describes Indianapolis in general. They’ve been racing cars there since 1909, and many of the great drivers in history have competed at the grand old racetrack. Busch is one of the few who has driven in both the Indianapolis 500 and the Brickyard 400. In 2014 Busch stepped out from his stock-car norms and into the world of IndyCar, competing in the 98th Indianapolis 500 for Andretti Autosport. The first-time IndyCar driver looked like a veteran on the historic track, starting 12th and finishing sixth to claim rookie-of-the-year honors. To add another degree of difficulty to the day, Busch did what only three other drivers had done before – perform The Double by racing in the Coca-Cola 600 at Charlotte (N.C.) Motor Speedway that evening. More than 10 years before doing The Double, Busch secured a championship at Indianapolis. It was 2003 and Busch was selected to compete in the 12-driver International Race of Champions (IROC) for the first time in his career. IROC ran for 30 years and pitted race-winning and championship-winning drivers from all different motorsport disciplines in the same racecars to determine a best-of-the-best victor in a four-race series that began in February at Daytona and culminated in August at Indianapolis. Busch finished second at Daytona and then won the series’ next race at Talladega. He went on to finish third in July at Chicagoland Speedway in Joliet, Illinois, and arrived at Indianapolis locked in a title battle with eventual five-time IROC champion Mark Martin. Busch finished fourth in the IROC finale while Martin finished fifth, giving Busch an 11-point edge over Martin and the IROC championship. Busch is looking for his first ever win at Indianapolis, and he hopes it will be Bigger, Better, Badder than any victory he has ever had. What do you think about Indianapolis being the cutoff race for the NASCAR playoffs? You’ve had success at Indianapolis, but not in NASCAR. What makes the track so difficult? What makes Indy such an iconic venue? You competed in the Indianapolis 500 once. Any chance you’ll do it again? How hard is it to drive a stock car at Indianapolis?